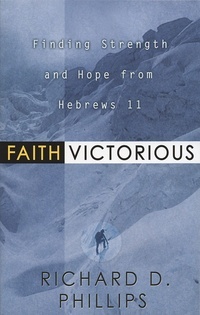 In this study of Hebrews 11, we find answers to some of our most pressing questions: What is faith? How do we get faith? What are its benefits? How does faith respond to life’s trials? We also enter the fascinating world of Old Testament men and women whose vision of a sure hope beyond their struggles led them to acts of great courage. Like the first audience of the Book of Hebrews the church today faces mounting opposition—even persecution—and the danger of falling away from the truth.